Please read the terms and regulatory notices below before proceeding further. The terms explain certain restrictions imposed by law on distribution of the information on the website. Please note that the terms are subject to change and your continued use of the website following such a change shall be deemed to evidence your acceptance of the change. You should therefore review the terms at regular intervals. In using this website, you agree to the below terms, if you do not agree to them you should exit this website now. 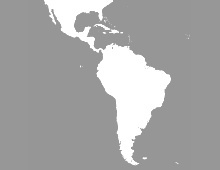 This website provides information about Sagil Capital LLP and the Sagil Latin American Opportunities Fund ("the Fund") managed by Sagil Capital LLP. The Fund is defined as unregulated collective investment schemes ("UCIS") and the promotion of a UCIS either within the UK or from the UK is restricted by Statute. As such this website is only made available to Professional Clients or Eligible Counterparties as defined by the FCA and to persons falling within the Financial Services and Markets Act 2000 (Promotion of Collective Investment Schemes) (Exemptions) Order 2001. Such persons include certified high net worth and sophisticated individuals. This website and its contents are issued by Sagil Capital LLP which is authorised and regulated by the Financial Conduct Authority in the United Kingdom to undertake regulated investment business. The information on this website is provided for information only. It does not constitute an offer by Sagil Capital LLP or any other person to enter into any contract/agreement nor is it a solicitation to buy or sell any investment. The shares in the Fund have not and will not be registered for sale, and there will be no public offering of these shares in any jurisdiction. No offer to sell or solicitation of an offer to buy will be made in any jurisdiction in which such offer or solicitation would be unlawful or not authorised. 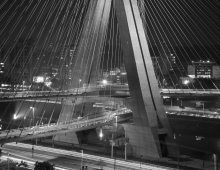 Accordingly, if it is prohibited to make the Fund available in your jurisdiction or to you the Fund or Sagil Capital LLP's services are not directed at you. The contents of this website are based upon sources of information which we believe to be reliable. However, except to the extent required by applicable law or regulations, no guarantee, warranty or representation (express or implied) is given as to the accuracy or completeness of this website or its contents and, Sagil Capital LLP, its affiliate companies and its directors, officers, employees, agents and advisors do not accept any liability or responsibility in respect of the information or any views expressed herein. Opinions expressed whether in general or in both on the performance of individual Fund and in a wider economic context represent the views of the contributor at the time of preparation. Where this website provides forward-looking statements which are based on current opinions, expectations and projections, actual results could differ materially from those anticipated in such statements. All opinions and estimates included in the website are subject to change without notice and Sagil Capital LLP are under no obligation to update or revise information contained in the website. Furthermore, Sagil Capital LLP disclaims any liability for any loss, damage, costs or expenses (including direct, indirect, special and consequential) howsoever arising which any person may suffer or incur as a result of viewing or utilising any information included in this website. This website is provided to give general information on Sagil Capital LLP, its services and on the products and funds we currently manage. 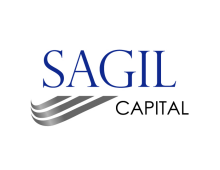 Sagil Capital LLP does not give investment advice or recommendations in respect of Fund. The details of the Fund in the website give an indication of the investment strategy and key terms of the Fund. Such information must not be construed as specific investment advice or an offer to buy or sell an investment. This website should not be relied upon as including sufficient information to support an investment decision. Although Sagil Capital LLP shall use all reasonable endeavours to ensure that the information on this website is kept up to date, it cannot be held responsible for any losses or damages incurred as a result of using any out of date information or superseded documentation on this website. You will only be able to invest after receiving a prospectus and subscription document. Investment in the Fund involves risk and may not be suitable for all investors. Investors should make their own investment decisions based on their own financial objectives and financial resources. Any decision to invest should also be based on the Fund prospectus. You should not construe the contents of the Fund prospectus as constituting legal, tax or financial advice. You should take independent professional advice as to the legal, tax, financial or other matters relevant to the suitability of an investment in the Fund based on your individual circumstances before making any investment decisions. An investment in the Fund involves a high degree of risk. The value of investments and any income derived from them may fall as well as rise and you may not get back your original investment. Past performance should not be viewed as a guide to future performance. Investment in the Fund carries the risk of potential total loss of capital. Where an investment involves a foreign currency, it may be subject to fluctuations in value due to movements in exchange rates. These changes to exchange rates may also cause the value of an underlying investment to go down as well as up. Tax treatment, levels or bases will depend on individual financial circumstances, the country of residence and may be subject to change. For a full list of risk factors and fees/charges reference should be made to the Fund prospectus. The copyright in the website and (unless otherwise indicated) its contents including all information, graphics, code, text and design are owned by Sagil Capital LLP and should not be reproduced or distributed without permission. That you are not subject to any jurisdictional restrictions prohibiting access to information on collective investment schemes. That you have read, understood and accept the terms and risk disclosures above. If you are unable to agree to the terms outlined above or you are resident in a jurisdiction (e.g. the United States) where access to the site and information contained therein is not permissible then click on the 'Cancel' option below.